In 1803 the state took over the Augustinian monastery in the course of secularization. The monastery’s own brewery was privatized and, in 1817, moved to nearby Neuhauser Strasse due to disrepair of the monastery. Brewer Anton Wagner, hailing from Freising, acquired the business in 1829 and since then it has been operative as a privately owned brewery. Later on, his son Josef Wagner built a new modern structure on Landsberger Strasse, at the time on the outskirts of the city, where the brewery moved to in 1885. This is the place we brew to date. Nonetheless, the former brewery on Neuhauser Strasse is still crucial to Augustiner-Bier. In 1886, famous Munich architect Emanuel von Seidl remodeled our original building into a restaurant with beer hall – today’s “Zum Augustiner”. Our brewery building on Landsberger Strasse was badly damaged in World War II and rebuilt after the old model. Today, the facade of our prolonged and distinctive brick structure is a listed building. Over the years and with significant investments, we have expanded the capacity of our brewery as well as brought the production up-to-date time and again. We place extraordinary value to our traditional oak barreled draft beer, which receives special care from our brewmasters. At the core of our beers is our excellent brewing water, which we acquire from our own well reaching a depth of 230 meters. 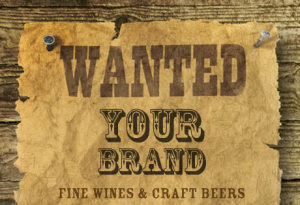 We produce malt of outstanding quality in our historical floor maltings on the brewery premises. In its large rooms – 40 meters long and 10 meters wide – with a particular limestone floor, we lay out a rather thin layer of barley and let it germinate, all the while turning it every eight hours. Our floor malting method has been handed down for generations and, although it needs a lot of room and time, it gives the malt the right space to “breathe” – and that you can most definitely taste! 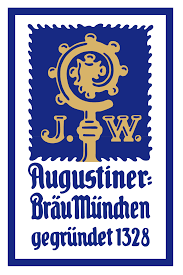 During its history full of change, Augustiner-Bräu Wagner KG has experienced a privatization, wars and many enhancements as well as innovations – but has always maintained its original business philosophy: We are concerned with the outstanding quality of our beer, with tradition and with our roots in Munich. Our restaurants and beer gardens – including the “Augustiner Keller” and the “Hirschgarten” – are places of the conviviality and the comfort that are long since typical of Munich. Our Augustiner-Bier has become a part of Munich’s culture during the past seven centuries. And we are very pleased about it.